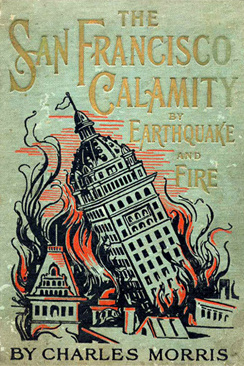 In the immediate aftermath of the Great Earthquake and Fire of 1906, San Francisco city officials and business leaders became concerned that the extensive international coverage and reaction to the disaster threatened the city’s future prosperity. Shake, Bake & Spin! San Francisco and the Media in the Aftermath of the 1906 Earthquake and Fire used historic documents, retrieved relics, photographs, newspapers, and film to examine the repackaging and reselling of the events of April 18, 1906 to accommodate commercial interests and stem the outflow of residents and capital. The exhibition further investigated the role of the media in containing the impact of the disaster, protecting property, sustaining morale, and refocusing attention on the rebuilding of the city.